We review the 10-megapixel Sony Alpha 100, the manufacturer’s first DSLR, and ask how it fares against its newer rivals. 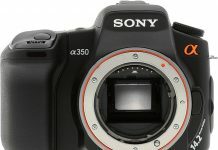 Sony has recently introduced several new DSLRs, bolstering the Alpha brand and becoming a serious player in the market. 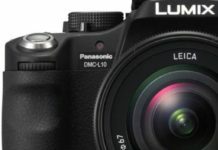 A new entry-level model, the 10-megapixel A200, will eventually replace the consumer electronics giant’s first DSLR, the well-regarded Sony Alpha 100. 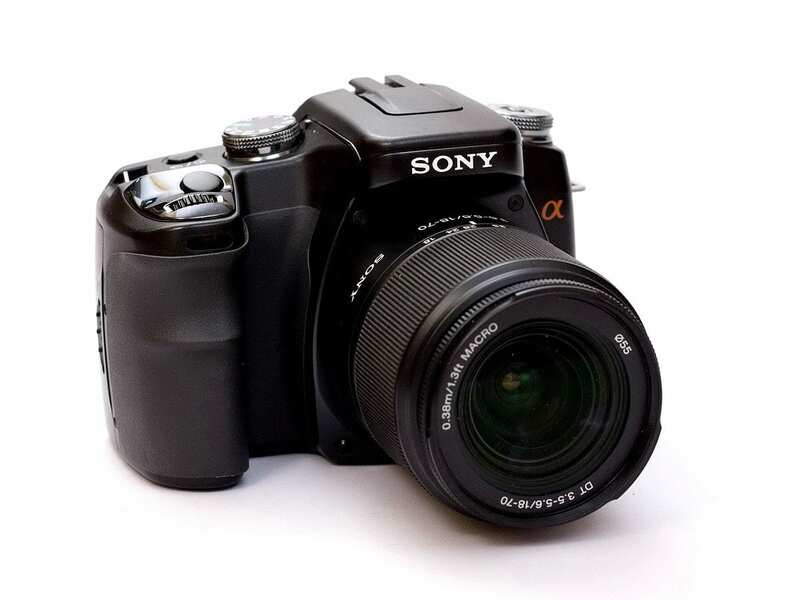 Although Sony’s A100 has been around for a while now, with some pretty steep price reductions available the highly-specified model is a still a very tempting choice for the novice or enthusiast looking for a bargain. In addition to a 10-megapixel resolution CCD, the A100 sports backwards compatibility with Konica Minolta AF lenses, body integral anti-shake system to combat the wobbles and automated sensor cleaning. 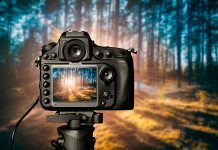 Other features of note include a 2.5-inch (230,000-pixel) colour LCD, a sprightly 3 frames-per-second burst mode and sensitivity to ISO 1600. The A100 also features a Dynamic Range Optimiser option with two-settings; standard and advanced. This promises perfectly exposed images by adjusting the gamma curve and exposure values to retain shadow and highlight detail in tricky lighting, like shooting against the sun. Also handy, and seen on Minolta’s earlier Dynax 5D, is the Zone Matching feature with low key (Lo80) and high key (Hi200) options for retaining shadow and highlight detail, respectively. 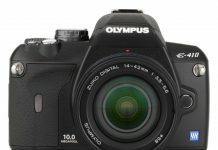 Although reasonably compact and light in weight, compared with rivals, the A100 is slightly larger than Canon’s hugely popular EOS 400D and Nikon’s update to the 10-megapixel D40x, the D60. Nevertheless build quality is good, though the plastic outer shell can’t match the Nikon’s for durability. And we’re also not keen on the blue-black finish of the metal front panel surrounding the lens mount. Unlike the Canon EOS 400D, the Alpha’s handgrip is a decent size and covered with a hard rubber-like grip, making it one of the more comfortable at this level to hold. The larger grip also aids handling when heavier lenses are fitted, like the alternative 18-200mm (equivalent to a 27-300mm on a 35mm camera) High Zoom kit lens. We also like the fact that shooting modes are selected from a dial on the top-plate, it’s a one-handed operation and quicker than the push-button and dial operation of some pricier examples. Like others at this level, the Alpha drops the passive top-plate LCD, doubling up the main 2.5-inch monitor as a data panel. It’s a decent quality LCD but the screen is prone to smearing. A proximity sensor, located under the eyepiece, handily dims the panel when the camera is held up to the eye but can also be used to activate auto-focus, giving the A100 a welcome head start. Sadly, preventing errant focusing with the camera slung over your shoulder, the A100 lacks the back-up handgrip sensor of earlier Minolta models. While the Eye-Start AF option can be turned off from the menu, it all seems slightly frivolous. 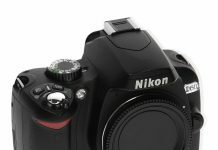 Surrounding the Function (Fn) button, a second dial on the top plate is used to select sensitivity, various auto-focus modes, exposure metering and white-balance presets using the screen and well-placed direction-pad. It makes the camera busier-looking and, maybe, more intimidating than rivals. Perhaps this explains why the secondary dial has been dropped in later offerings from the maker. Still, as an alternative to the five-page main menu, it works well in practice. Despite the generally good layout, with large control dials and sensibly placed buttons, the Alpha can be tardy in operation. Much of this is to do with the focus system. 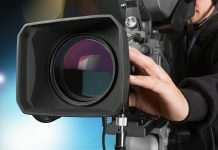 Each time the camera is powered down or switched to AF from manual focus, the AF system resets itself to infinity. On powering up, the A100 returns to a pre-determined focus point before focusing, wasting valuable seconds. After start-up though, focusing is quick and mainly accurate thanks to the nine-point distance-detection system. 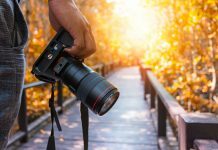 The standard 18-70mm kit lens isn’t as quiet or as fast to focus as the Nikon or Canon equivalents with their lens-based AF motors, and the 18-200mm High Zoom is slower and noisier still. 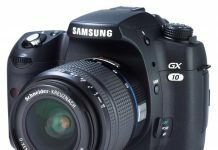 From our labs tests, the Alpha 100 with its 18-70mm kit lens is just about capable of out-resolving the majority of 10-megapixel rivals at this price, mainly due to what we assume is a relatively weak anti-aliasing filter covering the imaging CCD. While this may account for some crisp looking RAW files, it’s something of an Achilles’ heel for the A100. In real world use there’s little to be gained at low ISOs but with only modest noise reduction and no user overrides, the ugly colour speckles are more noticeable at higher ISOs. 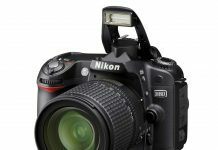 At ISO 800 and at the maximum of just ISO 1600, files from the A100 retain detail but their grainy appearance can’t compare with the smoother-looking images from the Canon EOS 400D or the Nikon D40x. Set to the default settings, in-camera JPEGs will likely need some additional sharpening, though parameter settings don’t feature wide adjustment. There are the inevitable white balance inaccuracies under artificial lighting but colour rendition under natural light is first class. And we were generally pleased with the exposure accuracy, especially using the Advanced option of the DynamicRange optimizer. Sony’s SSS anti-shake system in the A100 isn’t quite a match for lens-based image stabilization, but we achieved acceptably sharp results at 1/8th of a second using the 18-70mm kit lens at its widest setting. That’s two stops lower than can be expected with a DSLR lacking anti-shake, and a very reasonable result overall. 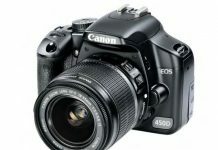 At just £429 with the standard 18-70mm kit lens, the A100 is slightly pricier that the Canon EOS 400D with a 18-55mm zoom, but that lacks any anti-shake in the basic kit. Still, if you’re on the fence, the A100 has plenty about it to like. It may not feature Live View (no bad thing) but, remarkably, as Sony’s first DSLR, the A100 really doesn’t seem to have aged as quickly as some rivals. And, with the exception of fairly high noise levels at ISO 800 and ISO 1600, and some tardy operation, the A100 has few real shortcomings. Verdict: Existing Konica Minolta users will love it and with a solid feature set and new lower price, the A100 makes a tempting choice for newbies. The generous 2.5-inch LCD screen doubles up as monitor and control panel, but is prone to smearing. The second dial on the top of the Alpha 100 lets you set sensitivity, autofocus and exposure, with the first dial used to switch modes. It’s a time-saving combination.